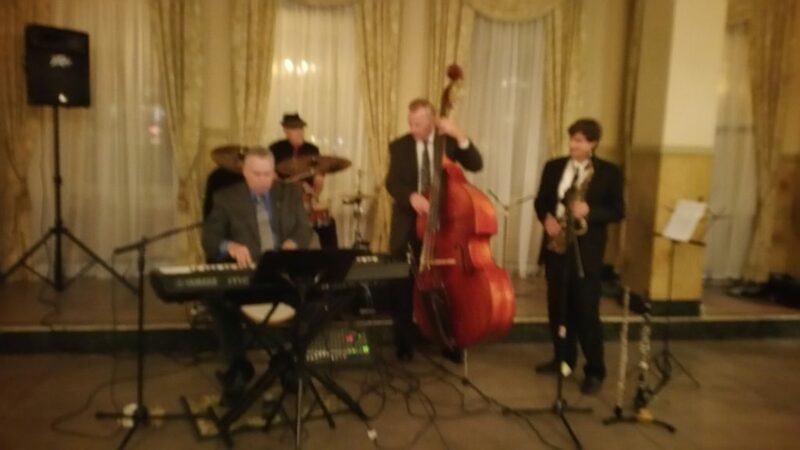 I was able to perform at a wedding a week ago..with a band…wow! Fun! Piano, Bass Drums, Sax- With Vocals! First dance…”Ain’t Misbehavin” nice and slow and beautiful. Mother-son/Father-Daughter…”Don’t it make my Brown Eyes Blue”! The rest of the music was 30s and 40s Standards and Jazz. modern dance tunes…just for fun! Super beautiful and fun gig! We do love weddings! So sorry I didn’t get to meet and thank you personally. You and the band were amazing! Our friends and family aren’t the biggest of dancers, but you got them out of their seats. And a couple of my friends are really great dancers who made the most of having a live band. All of them love & appreciate good music though and The Band got nothing but compliments. Everyone commented on how great you were. 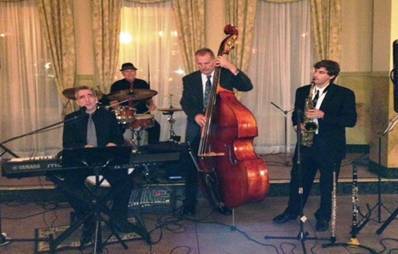 And it was great that you were able to get Leon ( Father of the Bride) to sit in for a few. That made the evening that much more special. We would love to give you stellar, five star review and will!! Is there anywhere else you would like us to write a review for you? Much thanks to all 4 of you for making our wedding so special.